THIS ITEM IS NOT AVAILABLE AT PRESENT. WE WILL NOT BE GETTING ANYMORE Justice League The Animated Series Wonder Woman Femme Fatales Statue. From the DC Comics Femme Fatales collection by Diamond Select. 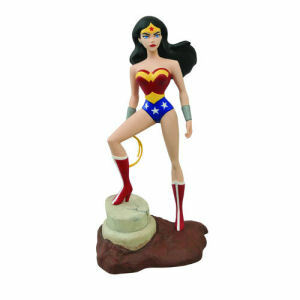 Justice League The Animated Series Wonder Woman Femme Fatales Statue. Meaures 9 inchs tall. Diamond Select Wonder Woman Figurines shipping from Canada. No Surprise Border fees or Customs!